Copy machines solutions can be hard to find when you are searching through hundreds of local companies in the South Florida area. 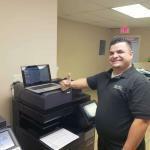 It is very important to know who you should trust when choosing a new copy machine for your company or business. 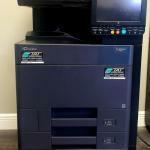 Copier leasing is a popular option for new copiers. This guide will help you make an informed copier or printer decision when comparing leasing vs purchasing. Choosing a new copier or printer for your business can be a daunting task. 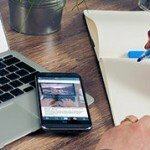 There are many different requirements that need to be considered in order to make an informed decision on what type of machine will be right for your business. In addition to you actual needs, copier brand quality, longevity, and dependability must also be considered. 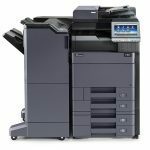 This article offers helpful information about some of the requirements that you should consider to make the right decision for your new copier or printing machine. At STAT Business Systems we have a long history of analyzing and testing many different copier and printing machines both in house and in the field. We regularly review these machines to see how they compare to other products from different manufacturers so that we can recommend the best products to our customers. We are always looking for ways to improve the customer experience. Our old website was due for an upgrade and we are excited to announce the launch of our new mobile friendly responsive site! We spent a lot of time and effort to bring our existing and potential customers a website that would be easy to navigate, provide relevant information about copiers, printers, and our other services, while providing resources for our current clients.